Choosing your perfect wedding dress! Whether you’ve been dreaming about your wedding dress since you were a little girl or haven’t given it a second thought, choosing the perfect wedding dress is one of the most important things a bride will do. Think of the wedding dress as your show-stopper: choose the right one, and people will be talking about your wedding for years to come. Ready to choose the perfect wedding dress? Of course you are – and here’s how to do it! Choosing a wedding dress is no different than shopping for flattering clothing. In order to pick a dress that will stun your fiancé – as well as everyone else at your wedding – you need to get familiar with your body type. Your wedding dress should tastefully accentuate your shape without taking away from your glowing beauty. For example, if you’re top-heavy, you may want to avoid strapless dresses. 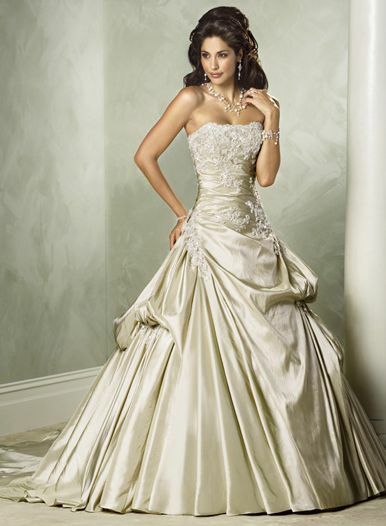 Petite brides will look fantastic in dresses with ruffles, while curvier brides will look stunning in A-line gowns. Finally, athletic brides can strut their stuff in mermaid or fit-and-flare designs. Once you have a general idea of what dress type will flatter your figure, you’ll need to set out a budget. Be sure that your budget accurately reflects your financial situation. After all, you don’t want to spend the majority of your wedding budget on your dress – you still have to pay for the venue and catering! If you’re frustrated by a limited budget, be on the lookout for sample sales and flash sales, as you can get designer dresses for dirt-cheap. Choosing the perfect wedding dress can be a funny process. Many brides walk into a dress shop with a very specific style in mind, only to be absolutely floored by a completely different dress. Keep an open mind and try on several different styles. The perfect wedding dress for you will make you feel like a glowing goddess – bonus points if it makes your shopping partners cry with happiness! Don’t forget to ‘like’ us on Facebook to get up to 25% off your save the date cards! This deal ends September 30, 2012, so don’t miss out on this amazing offer! For some, wedding planning can be a stressful experience. They approach every aspect of the process with trepidation, stress, and more than a hint of anxiety. They want every detail to be pitch-perfect – and they get very upset when things don’t go their way. But not you. For you, wedding planning presents an opportunity to throw a fun bash that your loved ones will be talking about for years to come. You know that the wedding doesn’t have to revolve around you – instead, it should be a celebration of the new life you’ll be spending with the partner of your dreams. If you’re ready to throw a party your friends and family members will never forget, then check out these ideas for a fun wedding. 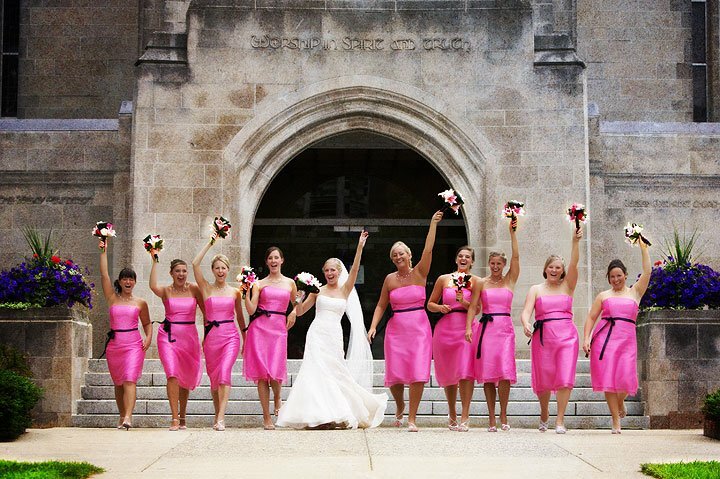 Themed weddings can present the perfect opportunity for you and your loved ones to have a blast. Themed weddings also allow you and your sweetheart to plan a ceremony and reception that perfectly reflects the uniqueness of your relationship. For example, if you and your honey love medieval fairs, then consider planning a Renaissance wedding. If you can’t get enough of the Halloween season, why not have a costume wedding and award your guests with prizes for the best costumes? With themed weddings, the only limit is your imagination. 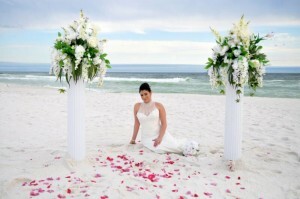 If themed weddings aren’t your thing, consider having a destination wedding in a new and exciting location. Your guests will love the opportunity to fly away to a tropical paradise, where romance and fun are practically guaranteed. Don’t forget to offer your guests plenty of options for fun itineraries. After all, you and your honey shouldn’t be the only people who get to enjoy the amenities of a beach wedding! Whether you’re getting married in your hometown or having a destination wedding in a romantic city, consider planning out fun tours and activities for your guests. For example, if you’re getting married in the Big Apple, you could go on a tour of the city with your guests or go bar-hopping inTimes Square. If you’re getting married in your hometown, consider planning a scavenger hunt for your guests. Place the clues in special parts of the town – for example, where you and your man first kissed – and have the prize be a gift basket filled with wine with personalized labels. No matter what you plan for your wedding, remember that your guests will have the most fun by being around you and your future spouse! Remember to ‘like’ us on Facebook to get up to 25% off your save the date cards! Hurry, this offer ends September 30, 2012, so don’t miss out on this incredible deal!